Happy Wednesday everyone! Finally, the week is half way through. I am not sure why, but for me this past weekend was far too short but this week has seemed extra long. Anyway, today I would love to share with you my skincare routine. I do not have perfect skin by any means, but ever since I have implemented this serious of steps and products, I have noticed a huge difference. I definitely less pimples, almost none, and an overall smoother look and feel to my skin. Also, most of my darker spots and scars have faded away and my combination skin has been neither too dry nor too oily. If you use any of these products or have any holy grail products that you swear by and think I should try, please let me know! I'll explain each product in the order that I use them every morning and evening. I first wash my face. 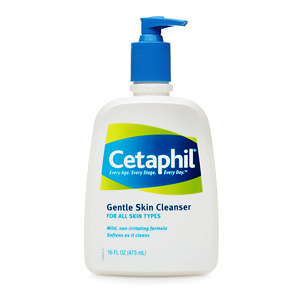 I tend to use two different cleansers, Cetaphil Gentle Skin Cleanser in the morning when I am just washing my face, and a bar of Dove Sensitive Skin Soap when I am showering and removing stubborn and waterproof makeup, both of which you can purchase at your local grocery store or pharmacy. I learned pretty early on from my dermatologist that using a gentle cleanser is much better then an intense acne fighting one, and these are both products that I find work well. I really try not to pull the skin around my eyes much when washing off my mascara because it can cause premature wrinkles that nobody wants. After that step is through, I go in with my retinol A product. Retinol is my holy grail product. It is pretty much the best thing know to man, in my humble opinion. First of all, it helps fight acne and that alone makes me love it. It's second amazing property is that it helps speed up the regenerating process of skin, making dark marks and scars fade more quickly....amazing, I know. Finally third, it fights wrinkles. One little product doing three amazing things really helps cut down on cost and amount of lotions and potions that you put on your gentle face. A side effect of retinal is that it can leave your skin very dry and peeling, especially in the first two weeks of using it. I find that if you don't stop, just keep using it through the peeling process, that your skin will eventually stop flaking off and look amazing much quicker then if you stop during the dry period and start again after your skin has healed a bit. Also, I used to use a prescription strength, which is much more drying, and have since switched to an over the counter product because it is much less harsh, but still effective. I use Philosophy's Help Me, which you can buy at Sephora, Macy's, or anywhere that sells Philosophy products. To help reduce the drying effects of the retinal product, we now want to use a moisturizer. 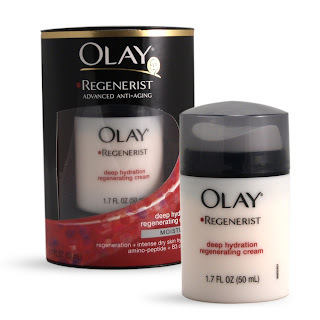 I have used Olay moisturizers for about 6 years now, first just using their everyday one recommended by my friend Rachel, and eventually switching to my current one, which was recommended by my friend Tia. 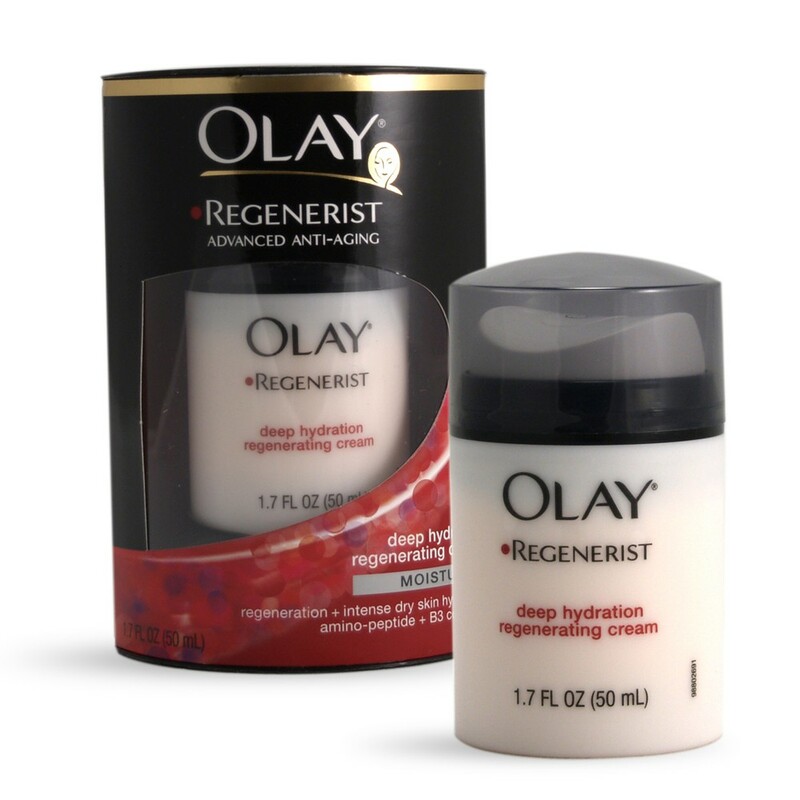 The current one I use is called the Olay Regenerist Deep Hydrating Regenerating Cream. It has such an amazing texture and makes my skin feel like velvet, plus I believe it has some anti aging properties. I have been using it everyday for over a month and have just picked up my second bottle. You can also purchase this at your neighborhood pharmacy, such as CVS or Walgreen’s. Now we move on to the eyes. It is very important to use an eye cream because the skin around your eye area is extremely thin and can show signs of aging fairly quickly if no preventative measures have been taken. 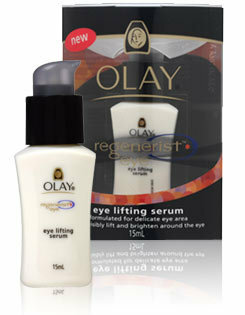 I currently use another Olay product, the Olay Regenerist Eye Lifting Serum, which works well for me and has never caused me to break out. It is easily obtainable at your neighborhood grocery store or pharmacy as well. I use a very small amount and dab about one inch above (right below my eyebrow) and one inch below (on the bone, usually where your dark circles are located) my eye and then tap to blend all around it. You want to apply it an inch away for your eye because the slippery cream will travel and creep into your eye if it is not far enough away, causing puffy eyes in the morning. Last but not least is a product I only use at night and only when I need too. This is my acne spot treatment. I have a bad habit of not being able to resist picking my pimples, so this product helps them almost go away overnight, before I even get the chance to mess around with them. 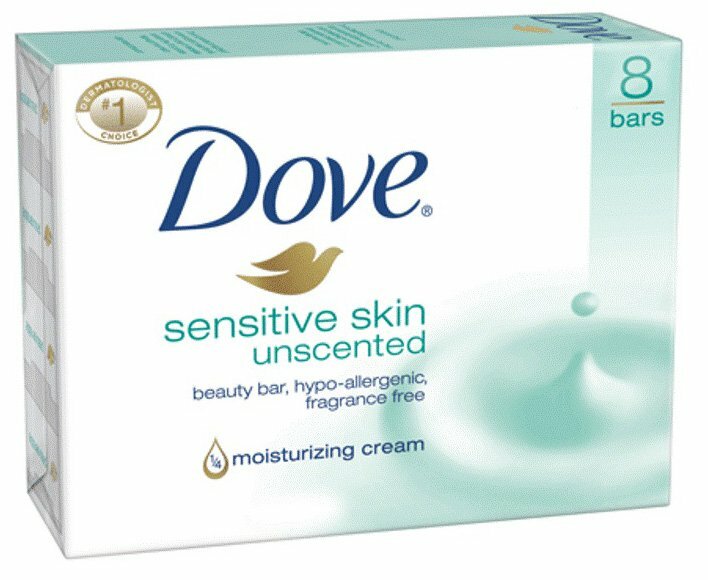 It is a 10% benzoyl peroxide product, I have been using the generic Walgreen’s brand, but I know that Nutrigina and Clean and Clear also make a similar product. The important factor is that the cream is 10% benzoyl peroxide. I am personally allergic to this ingredient (it makes my eyes swell up and I get horridly red and itchy) but in VERY small, spot treatment doses my body can handle it. You just put a small dot on a q-tip and spot it onto your blemish right before bed. The product will dry in about 5 minutes, and then you wash it off in the morning. It really does help to tremendously reduce and eventually eliminate the pimple, which is so awesome. I hope you enjoyed reading about my skincare routine, and once again if you have any comments, questions, or a product you would like to recommend, please feel free to comment below! Great reviews! I love cetaphil. 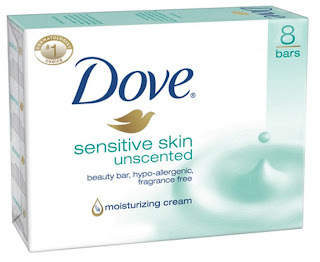 It was recommended to me years ago by a dermatologist and I've used it ever since. Oh me too, it is amazing stuff! I love reviews, because then I know what I should buy. I use most of the same products as you! How wacky is that? !